"I blew it!" Come to think of it, we've all blown it! We don't measure up. We're not divine. We might be decent, but decent won't save us. Only the divine, the truly righteous, make it past the grave and into glory. 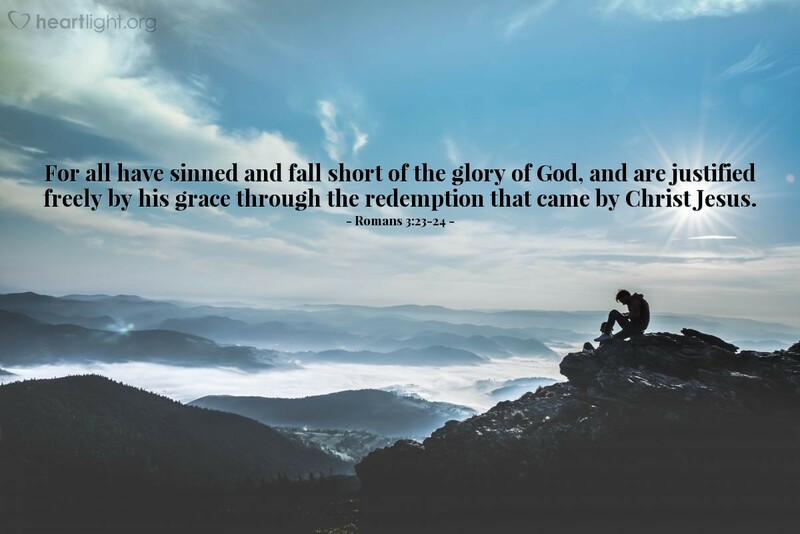 Thank God grace is freely given and the price for our sin was paid by Jesus. While I "blew it," he renewed it! Kind and Loving Father, thank you for being so generous with your grace. May I be as passionate for your righteousness as you were in redeeming me from my sin. Through Jesus I ask this. Amen.